I love spending quality time with my tools. I don’t always love being covered from head to toe in sawdust from those tools. If only there were a way to prevent that. They have something for that. It’s called an apron. See Mike Sense? 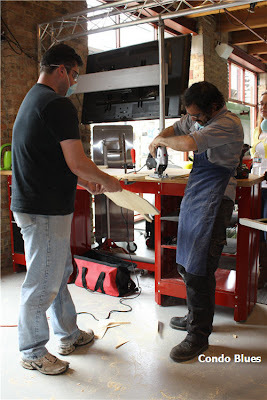 He was smart and brought a shop apron with him to wear when we were teaching at The Craftsman Experience last summer. Me? Not so much. Backpacking Dad and Mike Sense made a lot more sawdust than I did at my station. It’s time to rectify that situation. Husband got a freebie apron from a trade show at his old job. It’s been hanging in the back of the closet ever since. It will do, although I’d rather not be a walking advertisement for a pizza convention. This is the perfect project to try my hand at silk screening. I’ve always wanted to silk screen. 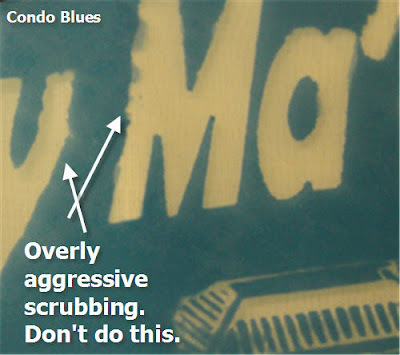 There are ready made silk screen stencils in craft stores, but I want something custom. I have no idea on how to make a custom silk screen. From what I have read, it’s complicated. I screw up any process at least once that involves reversing images and type. Every. Time. Plaid’s DIY Simply Screen promises to make the screen making process easier because you don’t have to reverse the images. I hope so. At least if I mess the screens up horribly, I can easily buy more refills at Hobby Lobby. If everything goes well, I can easily buy more refills at Hobby Lobby and screen print everything that doesn’t move. Good thing I signed up for Hobby Lobby’s email coupon alerts. One way or another, I may need them. I created a simple black and white design in Photoshop. I used a thick font and simple piece of clip art for my design. I printed my design on plain white paper. The screens come in a blackout envelop that reminds me of the photo paper I used to use when developing film. I decided to cut the screen to size, since my design isn’t large enough to cover a full sheet. 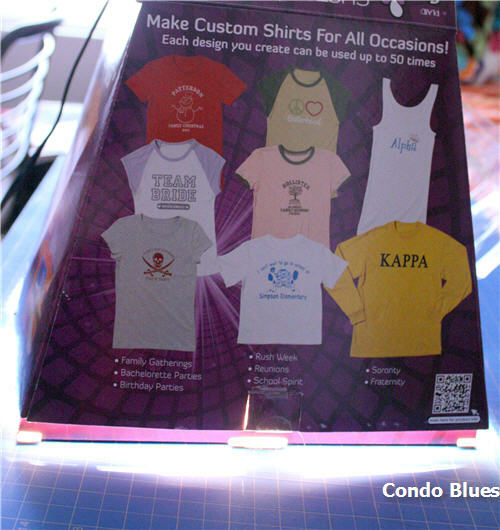 I put my design on the screen and into the light box, which is also the product packaging. Thanks Plaid for the low waste design! Be careful when opening the package. It becomes the light box. After 25 minutes, I removed the screen from the light box. I let it soak in the rinsing tub for a bit. Then I used a sponge to clear the emulsion from my design. I had to do this part more than once because I scrubbed the screen too hard and messed it up the first time. Oops! I let the screen dry on a towel overnight. 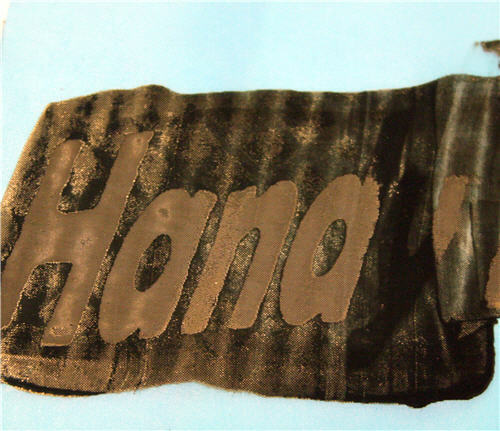 I taped the HandyMa’am screen to a piece of cotton fabric and put it on a scrap piece of cardboard. I ran a bead of black Plaid screen printing paint the length of the screen and spread it with the enclosed scraper/spreader. After the black paint dried, I used the same technique and screen to apply the Plaid Foil and Glitter Adhesive to the HandyMa’am screen. I sprinkled the screen with black glitter for a bit of bling and let it dry overnight. The following day I removed the screen and shook off the remaining glitter. 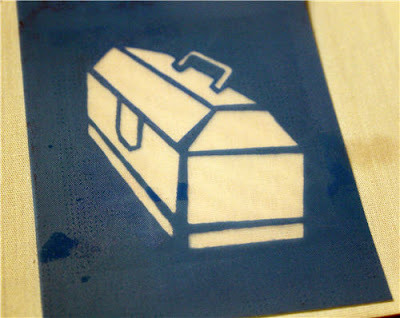 Then I screen printed the toolbox graphic using red screen printing paint. 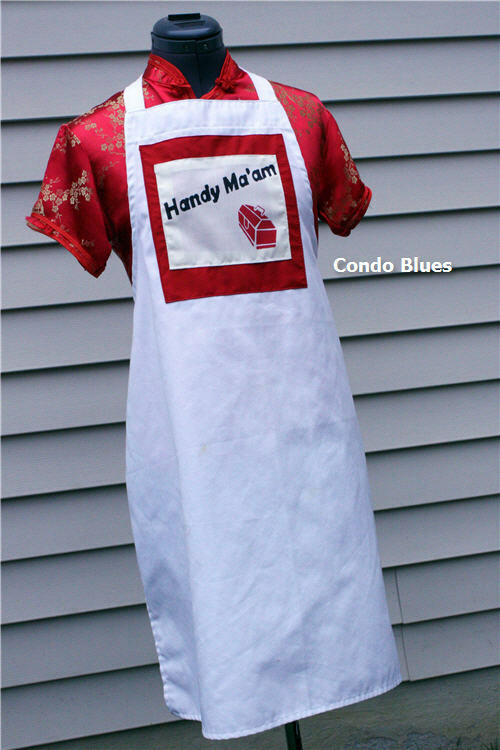 Once the paint dried, I sewed the design to my apron. For interest, I used a second piece of red fabric behind my Handy Ma’am patch. Take a good look at my apron in its pristine glory because in a couple of days it is going to be covered in sawdust and paint splatters. I can’t wait! Disclosure: Plaid provided me with a DIY Simply Screen kit and compensated me for my considerable time on this project. However, my ideas, words, and opinions are my own and are not influenced by this compensation. Hey that's pretty cool. I just might have to give this a try. Thanks! 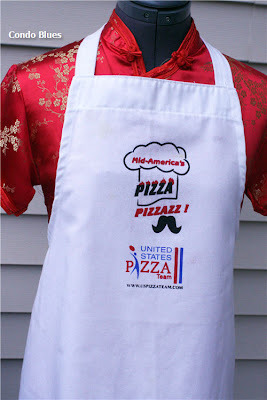 Nice reuse of an apron. I like the font you chose! Good job on your project! Very cool idea. My husband throws everything away, from toys to clothes and yes, aprons. Great to see someone out there reusing! Does Twitter Hate Green Moms?